The international particle accelerator, which discovered the Higgs boson in 2012, is getting some serious upgrades in its hunt for new physics. 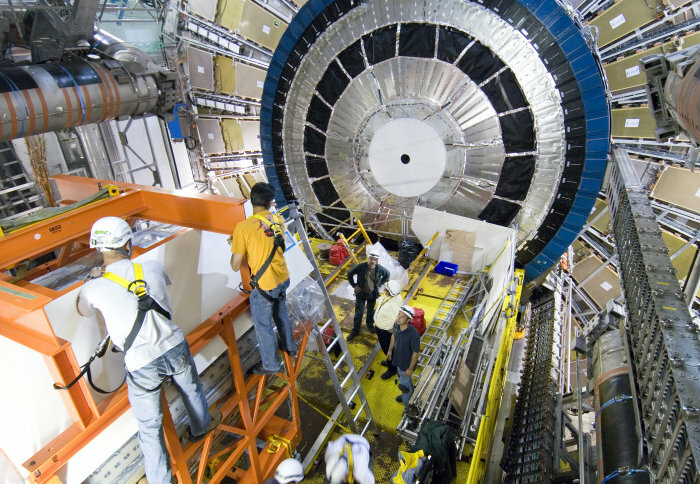 The upgrade will mean a more than five-fold increase in the number of particle collisions, allowing scientists to observe rarer physical phenomena. 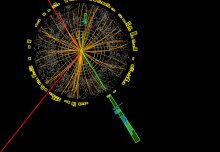 The Large Hadron Collider (LHC) at CERN in Switzerland smashes particles together at high speed to uncover the natural laws that underpin our universe. For example, in 2012 scientists used the LHC to discover the Higgs boson; the particle that gives all others mass. CERN is funded by a collaboration of member state countries, including the UK. The LHC is operated and used by a large international community, including many Imperial College London researchers, who work on projects that include searching for dark matter, improving the data-crunching power of the experiments, and, of course, discovering the Higgs boson. Today, a ground-breaking ceremony at CERN celebrated the start of the civil engineering work for the next phase of the LHC: the High-Luminosity LHC (HL-LHC). ‘Luminosity’ is the technical term for the number of particle collisions in a certain area in a certain time. Increasing luminosity produces more data, allowing physicists to study known mechanisms in greater detail and observe rare new phenomena that might reveal themselves. For example, the High-Luminosity LHC will produce at least 15 million Higgs bosons per year, compared to around three million from the LHC in 2017. The project will add and replace hardware on the LHC to make collisions more likely. These include powerful new types of magnets that will focus the beam of particles into a smaller area within the four detection points. To support the higher luminosity, upgrades are also being made to the power lines and machine protection, which shields the instruments from damage by stray particles. The work is starting today with the construction of new buildings, shafts, caverns and underground facilities to host new equipment. The new equipment is being manufactured in Europe, Japan and the United States. The construction and installation is expected to take until 2026, when the new Hl-LHC will come into use. Professor Geoff Hall, from the Department of Physics at Imperial, said: “The rebuilding of the LHC detectors for operation for another decade or more of HL-LHC operation is immensely challenging, but vital for the extraction of further scientific results to evaluate the standard model, and search for new physics. UK CMS groups are well prepared and have contributed many new ideas to ensure that this exciting new era will be as successful as the past." To develop the new machine, CERN is pushing several technologies to their limits, such as electrical engineering, notably in terms of superconductors, vacuum technologies, computing, electronics and even industrial processes. In the long term, these innovations will benefit our daily lives. For example, superconducting magnets find applications in the fields of medical imaging and cancer treatment with particle beams (hadron therapy).